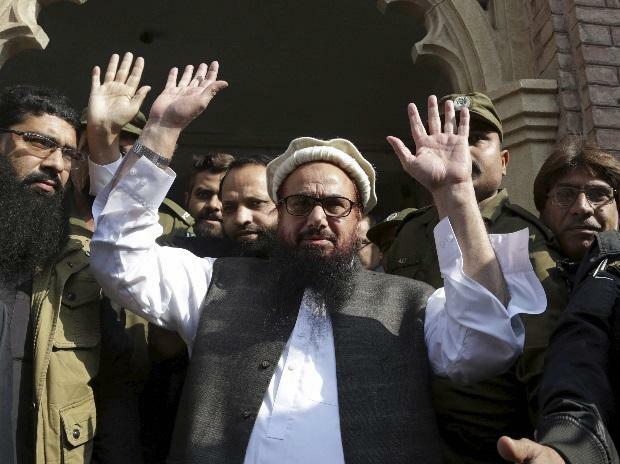 In a significant development, the United Nations has rejected an appeal of JuD chief Hafiz Saeed, the 2008 Mumbai terror attack mastermind, to remove his name from its list of banned terrorists, government sources said on Thursday. Notably, the decision comes at a time when UN's 1267 Sanctions Committee has received a new request to ban Jaish-e-Mohammad chief Masood Azhar after the Pulwama terror attack in which 40 CRPF personnel were killed. Pakistan-based JeM has claimed responsibility for the strike. The UN decision to reject appeal of Saeed, also a co-founder of terror group Lashkar-e-Taiba (LeT), came after India provided detailed evidence including "highly confidential information" about his activities, sources told PTI, adding that the verdict of the global body was conveyed to his lawyer Haider Rasul Mirza earlier this week. Saeed, chief of UN-designated terrorist organisation Jammat--ud-Dawa (JuD), was banned on December 10, 2008 by the United Nations Security Council after the horrific Mumbai attacks in which 166 people were killed. Saeed had filed an appeal with the UN through Lahore-based law firm Mirza and Mirza in 2017, while he was still under house arrest in Pakistan, for removal of the ban. Independent Ombudsperson Daniel Kipfer Fasciati, appointed by the UN to examine all such requests, has informed Saeed's lawyer that it has been decided following examination of his request that that he will "continue as a listed individual", sources said. The Ombudsperson recommended that after gathering all information, it has been decided to continue with the ban as "there was sufficient information to provide a reasonable and credible basis for continuing the listing," sources said, adding the recommendation was endorsed by the UN's Sanctions Committee. Saeed's request was opposed by India as well as other countries that had originally listed him - US, UK and France, sources said. Significantly, Pakistan did not oppose the appeal despite claims by the new Imran Khan-led government there that it was taking action against the banned terrorists and their organisations in what they call a 'Naya Pakistan' (new Pakistan). Last month, the US, the UK and France made a fresh bid at the UN to ban JeM head Masood Azhar, who is also residing in Pakistan as per Pakistani foreign minister's admission. JeM is already a UN-designated terrorist organisation. Asked about the delay in deciding on Saeed's appeal, which normally takes six months from the time it is registered with the UN, sources said the delay happened because the Ombudsperson got changed before completion of the time period and then some time was taken to appoint a new one.